For this project, we worked with Downer to provide 2 new water treatment plants to reduce the risk of chlorine gas exposure. 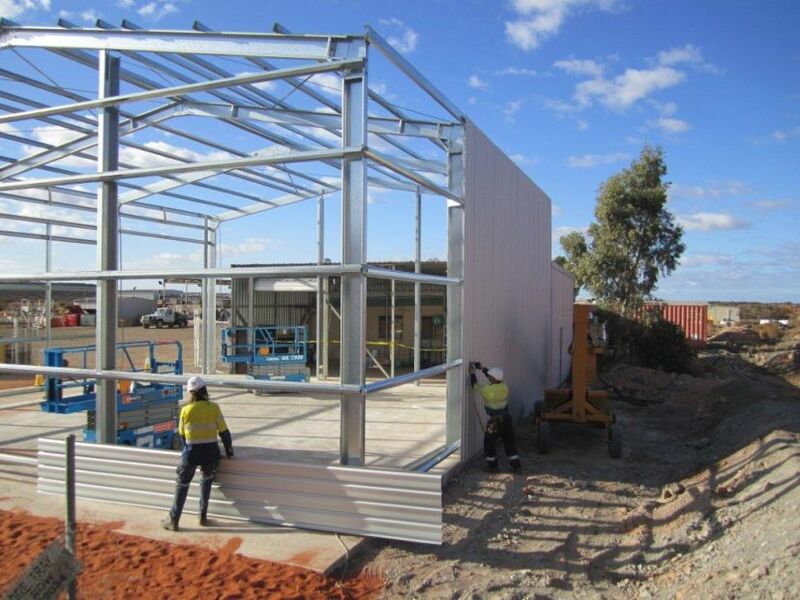 Although the buildings were relatively small, it was very important to the client that they were robust and corrosion resistant. 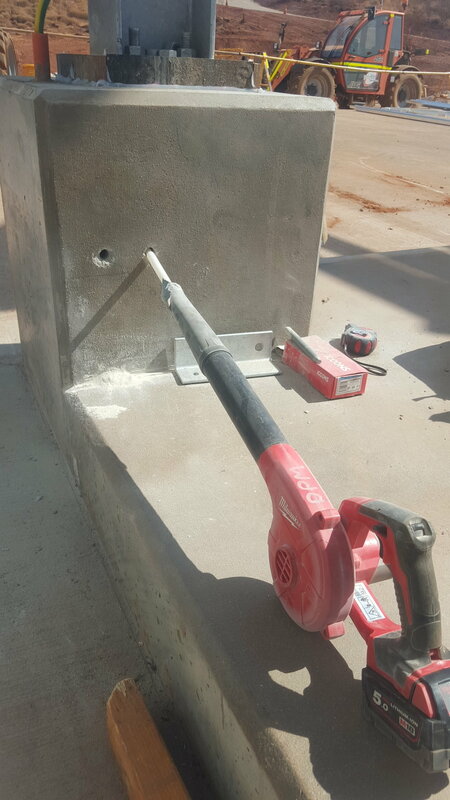 The most significant aspects of this project for us were extremely tight physical site constraints, significant brownfield work procedures and policies to comply with, and extensive proof requirements for our final compiled MDR. 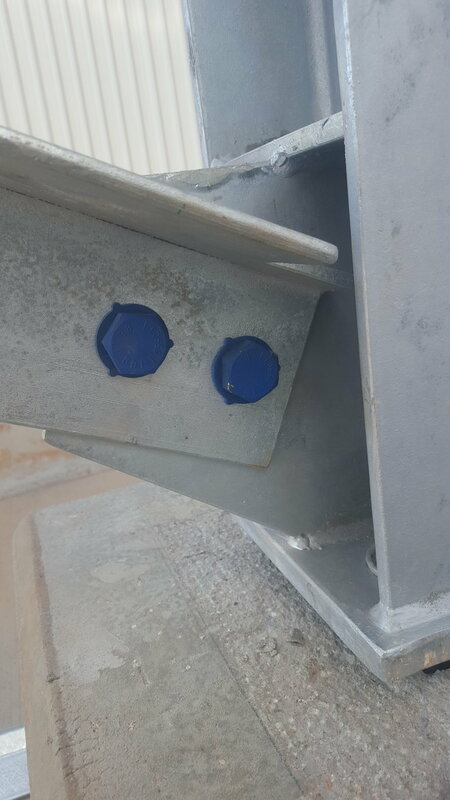 Our scope was shop detailing, fabrication, NDT, supply and install of structral steel, supply and install of purlins, girts, cladding, flashings, FRP grating and treads, and mechanical install of a 1T monorail hoist. Successful completion of our first job with Downer, and we look forward to a good future relationship for similar projects. 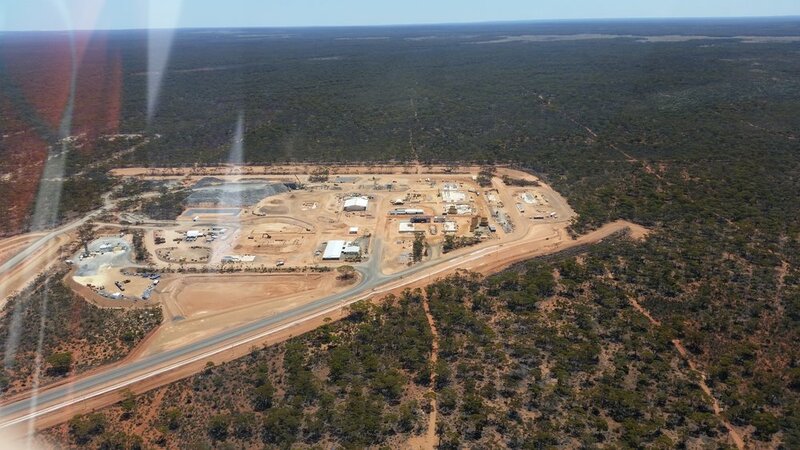 The Pilgangoora project involved a significant amount of work for us between contracts directly with the end client, and for the head contractor. 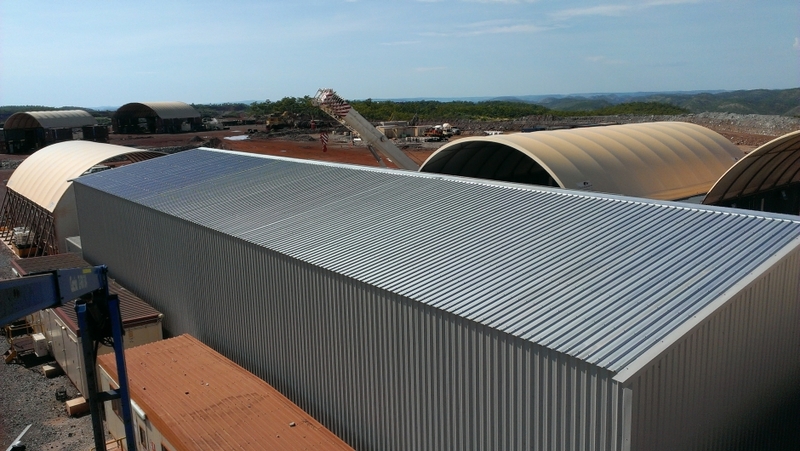 We built a 1000 m2 webbed chord truss concentrate storage shed, and clad the adjacent filter building and tantelum processing area. 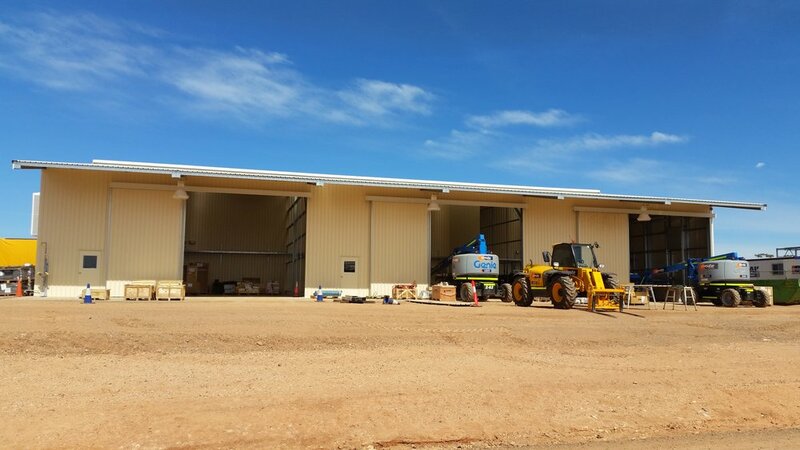 We built a combined warehouse/workshop with freezer panel office areas, 5 T overhead travelling crane, installation of multiple mezzanines, and installation of pallet and small stores racking. 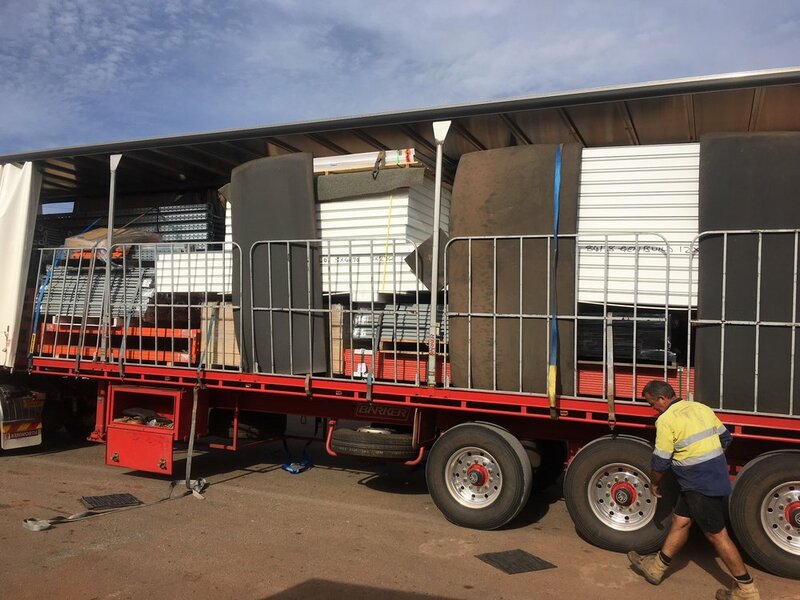 Full electrical fitout including DB design, installation of lighting, sensors, crane power, reverse cycle air conditioners, door automation, GPOs and data points was included. 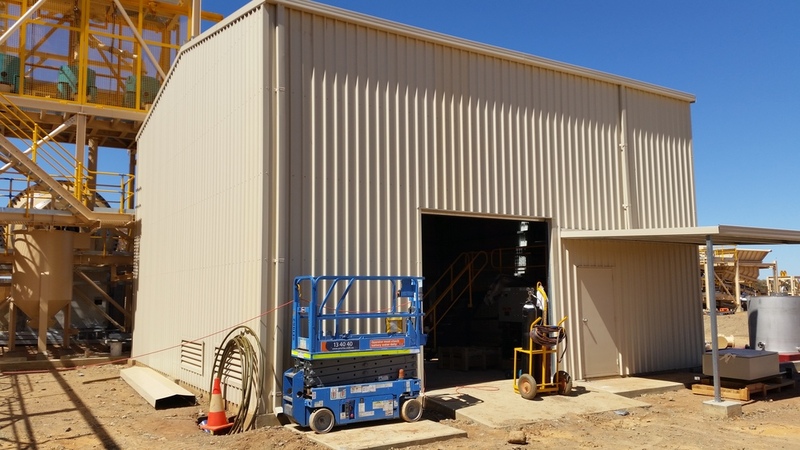 We also built a reagent storage shed, lab building, and miscellaneous other small covers and cladding works, as well as additional handrails around the plant. Nova Nickel has been our largest project to date, and was separated into a number of discrete packages. 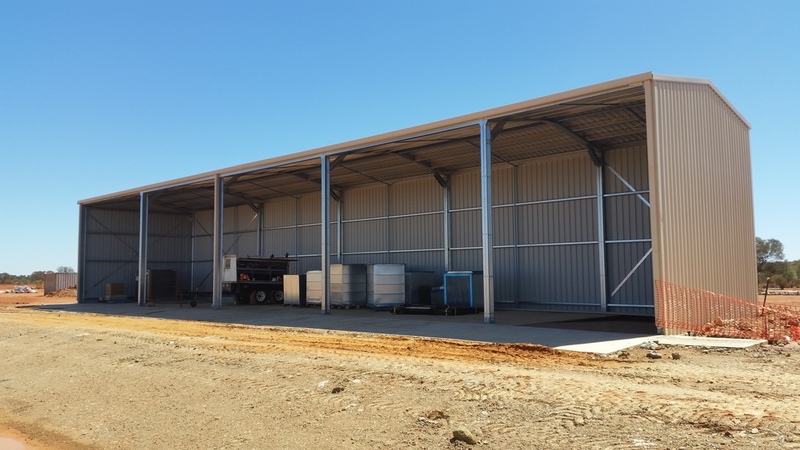 The plant workshop/warehouse of just under 1000m2 comprised a number of discrete compartments, mezzanine floors, pallet racking and secure compound for tool storage and dispensing. 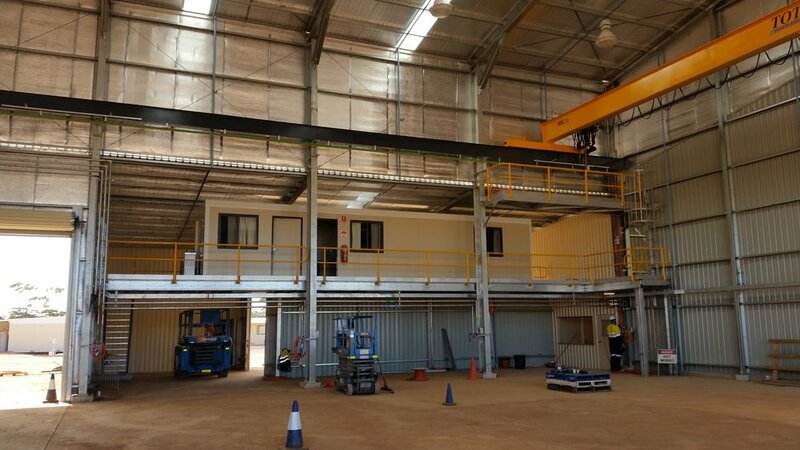 The mining workshop comprised 2000 m2 of covered area, with mezzanines, discrete bays, pallet racking, motorised roller doors, extensive guttering and included the runway beams for a 20m, 5T overhead travelling crane. 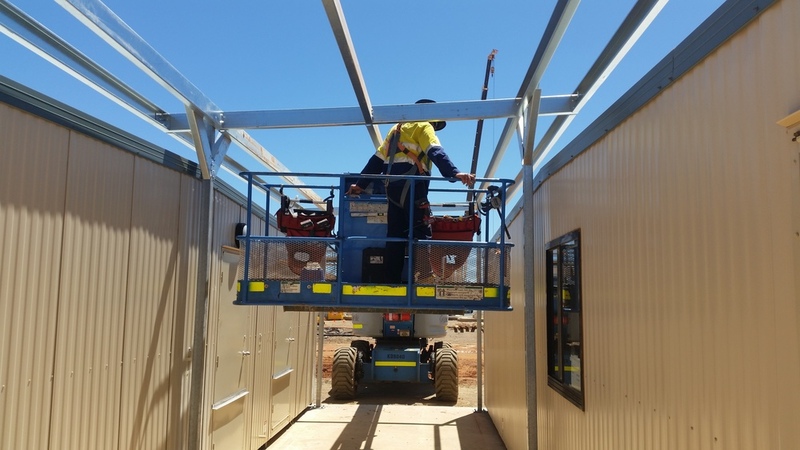 Other work in this package included a reagent storage shed, laboratory sample prep shed, cladding of several thousand square metres of the concentrate storage shed (steel frame by GR Engineering), and various small cladding elements through the plant. 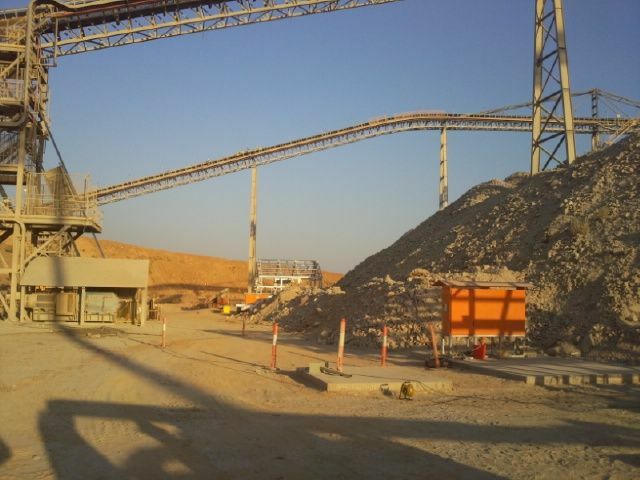 The whole project, overseen by GR engineering was completed on time, on budget, and with numerous media reports praising the early production from the mine. Deflector Gold was a slightly modified template of the Andy Wells Project which we had completed recently for the same client. 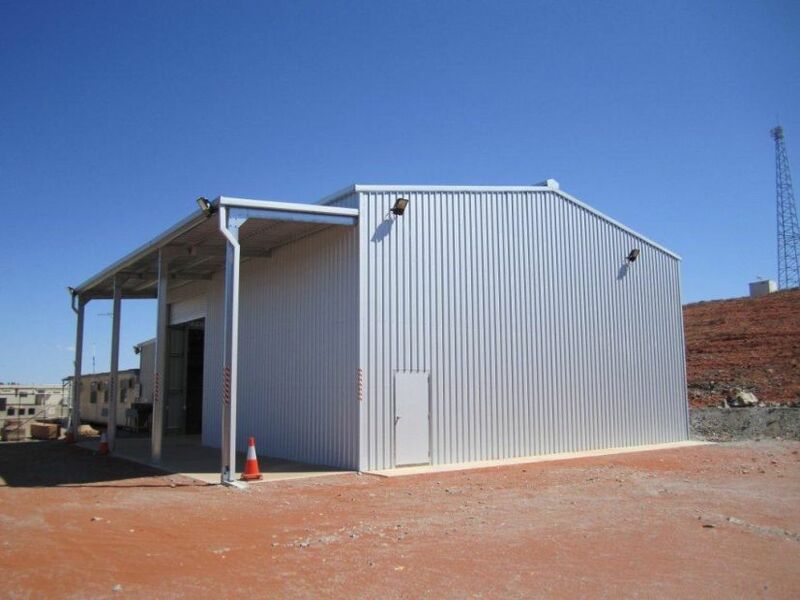 The project consisted of a workshop/stores building, reagent storage building, concentrate storage shed, laboratory and annexe, potable water cover, waste oil store and several other walkway covers. This project was completed in conjunction with GR engineering who were the EPC for the project. 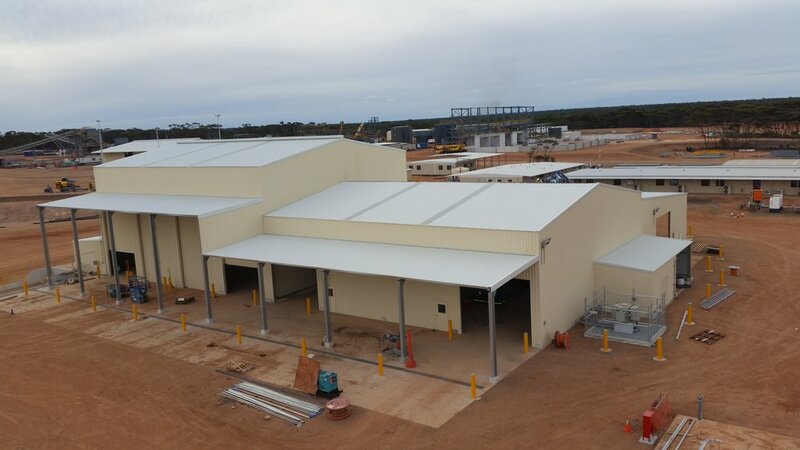 The scope was to build 500m2 of a 7 metre tall warehouse sandwiched between LV workshops, HV workshops, administration dongas and sea container storage, with minimal disruption to existing operations and in 14 days or less. The result? Admin (located 500mm from one long wall) lost less than 5 hours. HV workshops lost less than 2 hours. Job done in 11 days. There was a lot of creative ewp access, heavily reliant on spotters. Fragile pit covers needed traversing. Cable trays could only be bypassed with machines in certain configurations. Angles of attack beside and over buildings needed centimetre clearances for appropriate reach beyond. Barricades and paths of travel were modified on an hour by hour basis. Communication with users was frequent with detailed daily briefings and “we’ll be here in an hour, and you should be right to come back in within 1 hour of that”. Personal health was important with items such as foot care of the workers with over 12 litres of sweat a day filling boots, and constant electrolyte replenishment required. 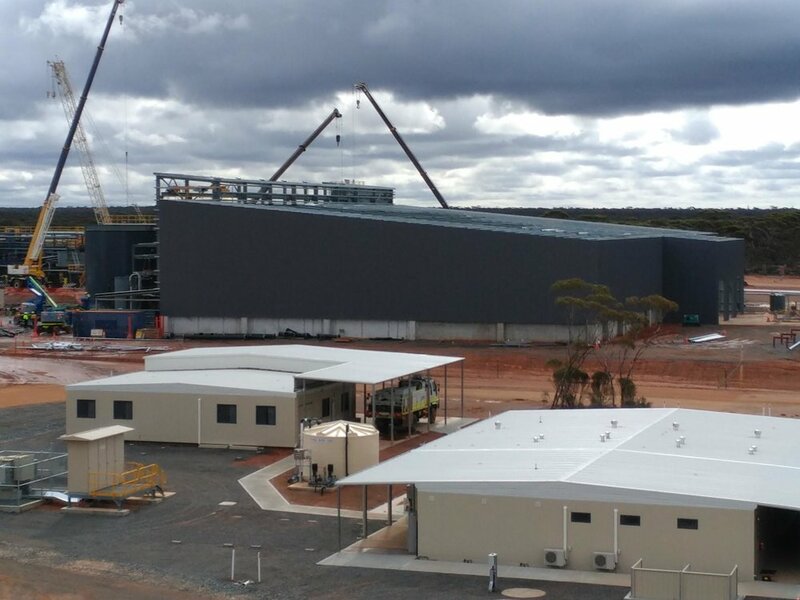 Zenith Pacific was awarded the BOO contract to finance/own, design, construct, operate and maintain a power station for Silver Lake Resources utilising 6 x 1.7MW diesel generating sets in phase 1 and then adding 2 x 3.3MW gas generating sets in phase 2. 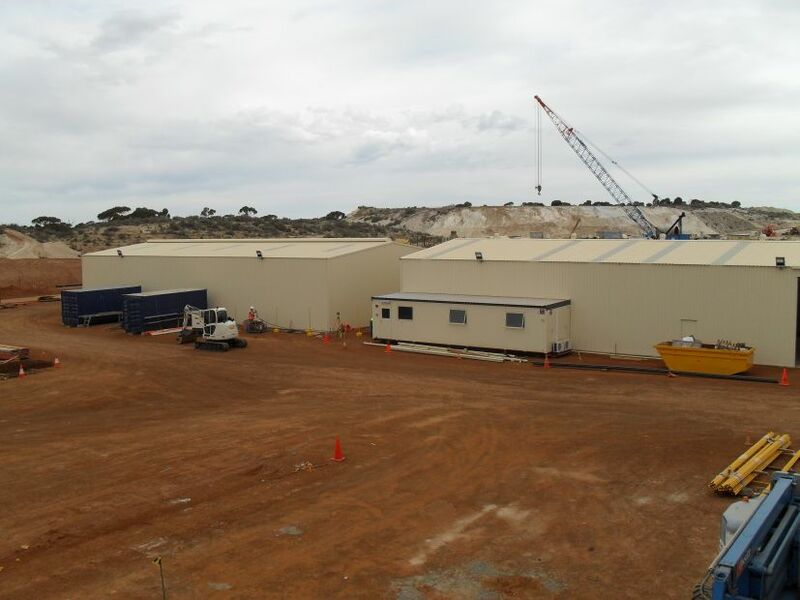 Genesis Buildings supplied and erected the power station building, including internal control rooms and workshops/stores. The building design scope included large areas of louvers and venting for intake of combustion air, venting of exhaust air and some control of sound emissions. 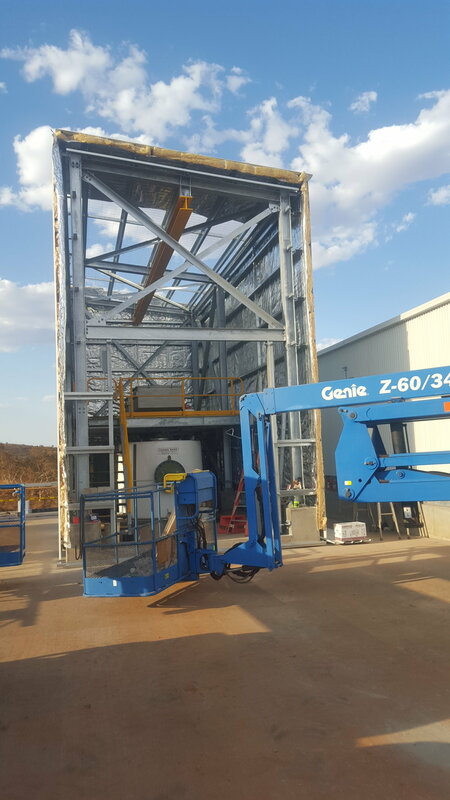 Genesis Building erected the Phase 1 of the building first to enable Zenith’s construction team to begin work to meet the project completion timeframe prior to completing phase 2. 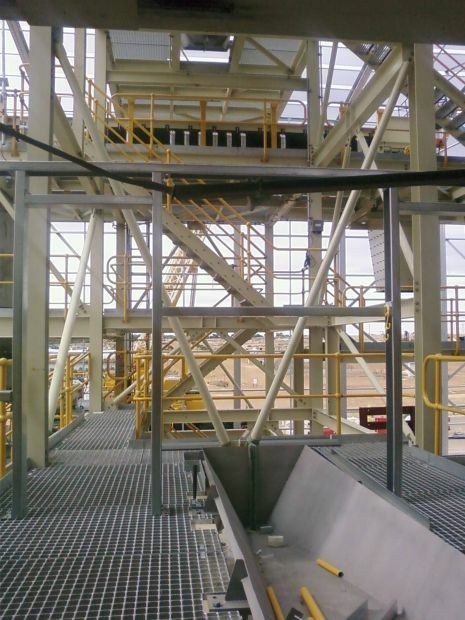 The project was executed safely and to Zenith Pacific’s satisfaction. 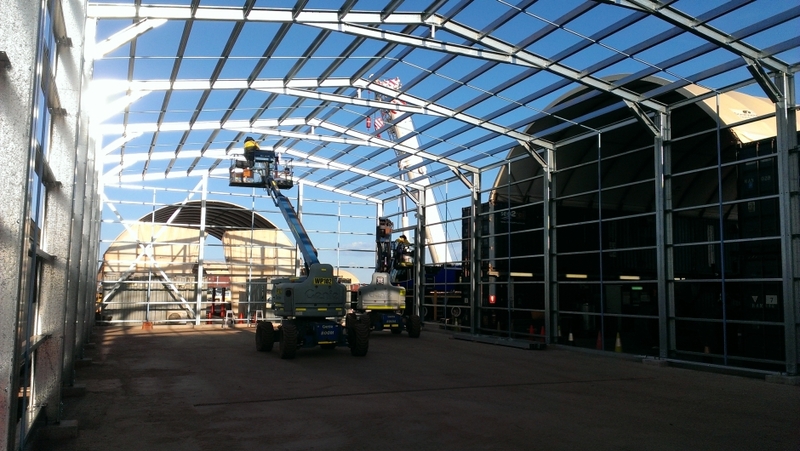 This project involved an extension of an existing warehouse at Agnew. This was our trial of increasing our service offering with civils and electrical fitout, and having worked according to plan, will become a standard part of our service. Civils included excavation of surface and footings, backfilling and compaction of slab area, pouring of main slab and integral footings, verandah, crossover and external racking slabs, and backfilling and compaction of ground to slab edges. Electrical fit out included new distribution board, fluoro’s, DPO’s, high bay lights, powered roller door and sensored external floodlights. Variations to standard methodology included working under lights from 1 am to insulate and sheet the roof, taking advantage of overnight lulls in strong prevailing winds to increase work safety. 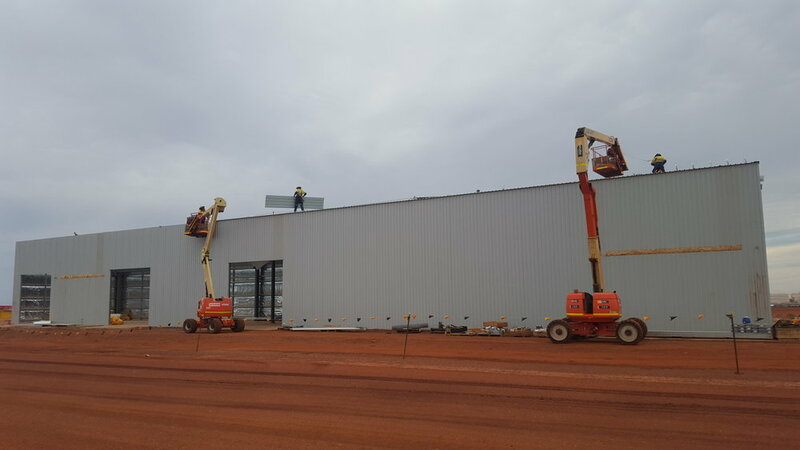 This project involved a warehouse for Cocos Shire and an Aviation Tanker shelter for Island Petroleum to service the Virgin Jets. 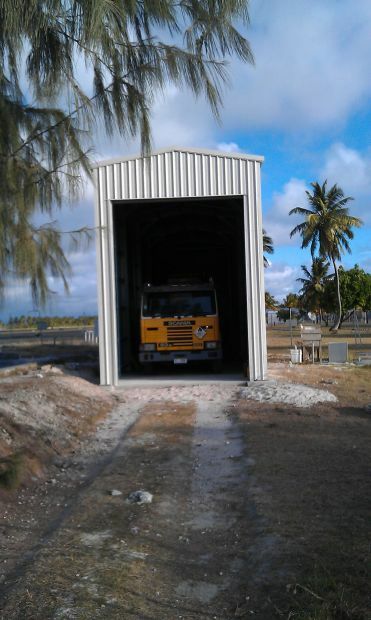 Island Petroleum also required a small shed for a fire pump shelter and a customised aluminium shelter for fuel gauges at their bulk fuel storage depot. Challenges overcome were long lead times on shipping, very detailed customs manifests, and getting the crew to return home from their exotic island sojourn. On time. On budget. 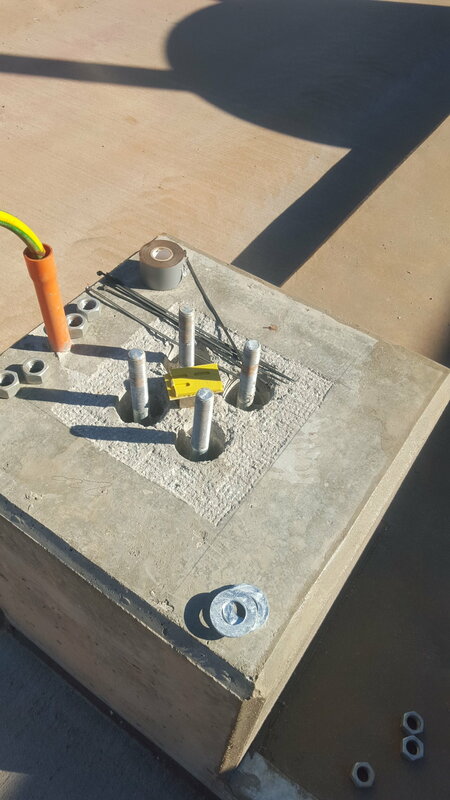 This project involved the construction of the tallest building in the Southern Hemisphere using cold rolled structural members. 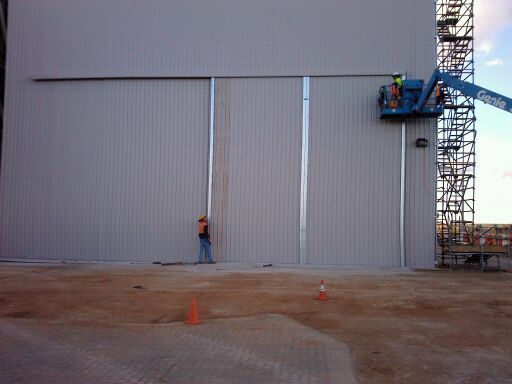 Main challenge was our decision based on equipment, time and climate to install wall sheets as single lengths. It worked beautifully and exactly according to plan and methodology, but my heart was in my mouth watching the sheets bow as they were peeled from their packs. The crucial element for this extension project was to not interfere in production for more than a couple of hours. No matter how we looked at weekend/night work, standard construction methodology was unable to achieve this. 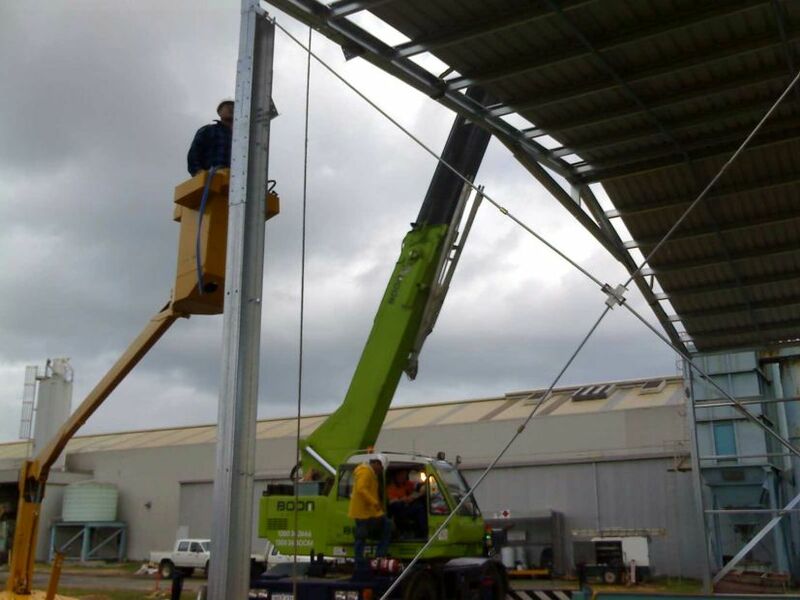 The solution was achieved by manufacturing the entire roof structure in a separate location, and lifting it into location in several steps. 2 crane relocations were required to achieve this without needing to place onto existing infrastructure. Once the roof was bolted onto the columns, the client’s work could continue while we finished around the edges. The Edna May Project was carried out in conjunction with GR Engineering who were responsible for building new mining infrastructure on these old workings. Our scope involved supply and construct of new buildings, cladding of refurbished infrastructure, construction of temperature controlled annexes on lab buildings, and miscellaneous small works. 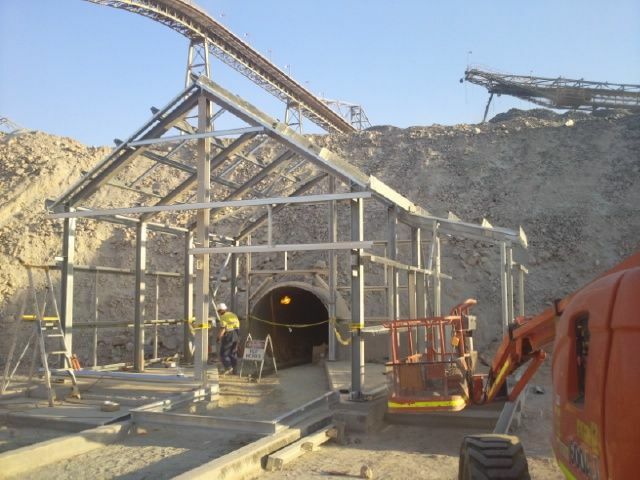 The Cosmic Boy mine site at Forrestania involved several stages with expansion projects. Stage 1 involved concentrate storage, workshop/warehouse, reagent storage and miscellaneous small covers. Stage 2 involved a 1200m2 concentrate storage extension which involved removing columns from the existing building to enable wider access. The first stages were for GR Engineering, project managers for the new mining infrastructure, and stage 3, a new storage shed was directly for Western Areas NL. 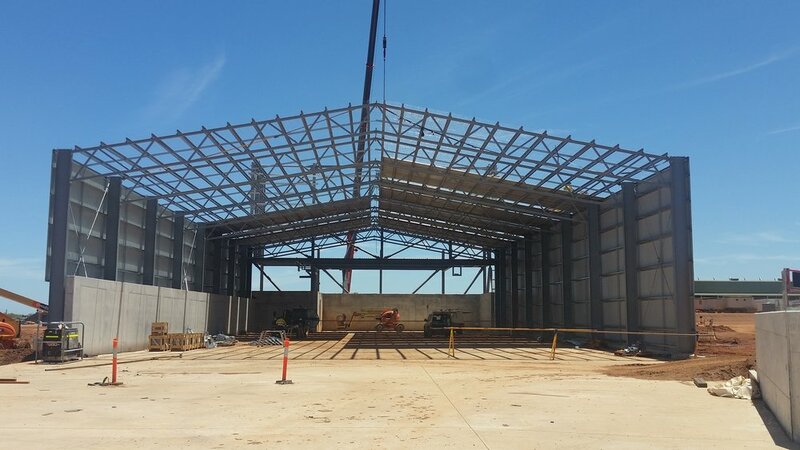 Sundance Lodge involved construction of a helicopter hangar near Yallingup, modification and re-cladding of an old small shed, and vehicle storage. Design intent for the hangar was that doors could be opened remotely by the pilots as they approach, allowing quick stowage. As the site was very constrained, the door solution was a 14 metre wide vertical bifold imported from Tru-Build in New Zealand. Amazing loads on the counterweight cables, but they run exceptionally well.